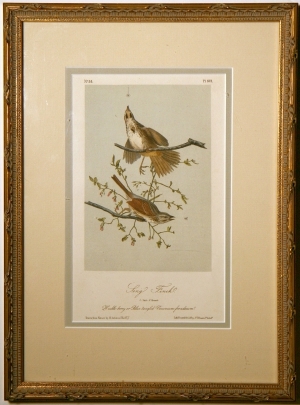 JOHN JAMES AUDUBON. Print. Song Finch, . 11½ x 15½ in. framed.